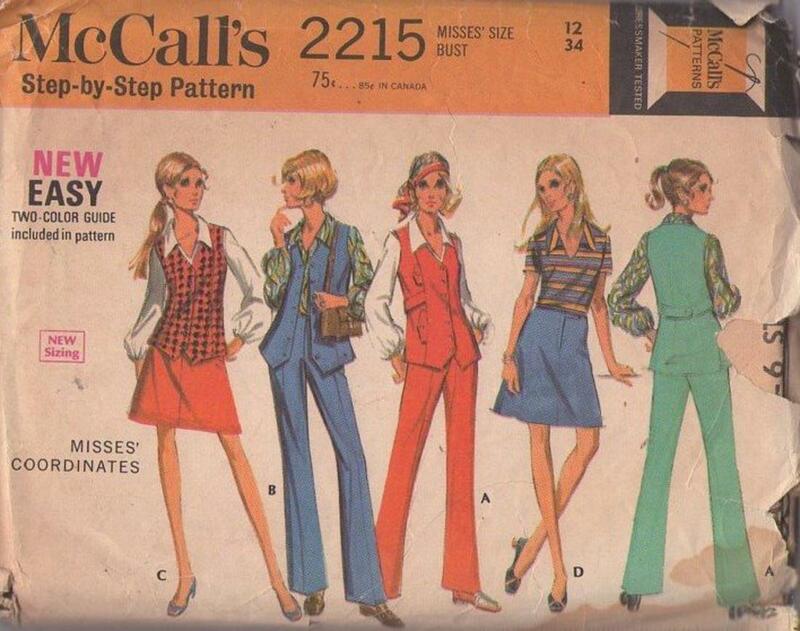 ​Bust 34", Waist 25.5", Hips 36"
1969, 60s Separates, Retro Casual Clothing Patterns - Long single breasted vest, A-line skirt, long pants and pullover blouse. Lined vest has side vents, panel seaming in front, faced fronts and back. 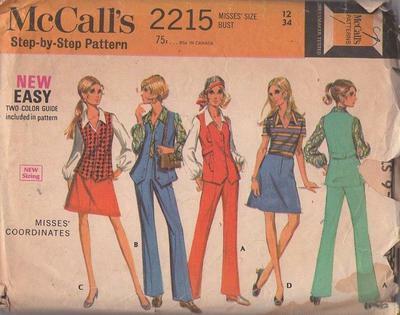 Faced flaps and two-piece belt, buttoned in back, may be included in front seams. Skirt and pants have faced, darted upper edges, but. toned tab and zippered fly front closing. Pants have faced back yoke. Blouse, with long or short set-in sleeves, has faced neck and collar and may have left side zipper. Long sleeves are gathered by elastic in casings. Garments are stitch trimmed and interfaced where necessary.